Crop Circle Science, Research, and More . 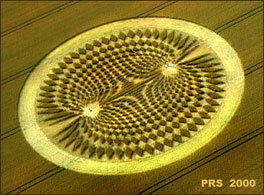 . .
Watch this short, musical slide show of my crop circle presentation. Full audio below. "How Crop Circles Work" by Dr. Simeon Hein, New Thought Forum, Boulder, Colorado, Feb. 13th, 2008. Crop Circles are one of the great mysteries of our time and the past. Research and skepticism about the phenomenon often ask the question whether they are the product of mischievous humans or an unknown, perhaps alien, intelligence. We believe that this may be the wrong question to ask. Research into verified man-made as well as unexplained circles indicate that the kind of electromagnetic, physical and mental phenomena that can occur around crop circles are found in both types. What does this mean? Does the geometry itself contain mysterious resonant power? 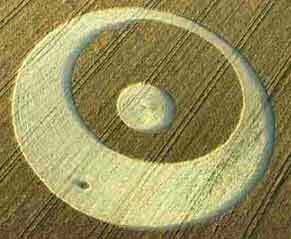 Do circle makers, regardless of origin, impart their own spiritual energies into the crops? What inspires or compels them to create these masterpieces? What do they mean? The impact of simple and complex geometry on the earth we inhabit can provide some astounding answers. 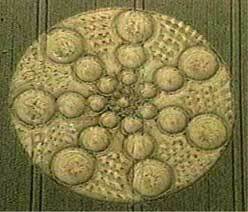 For more about the crop circle phenomenon and testing of man-made designs, get Simeon Hein's new book, Opening Minds!